Our attorneys have handled many cases involving restrictive covenants, including New York's highest court's recent pronouncement on restrictive covenants where the Court determined that a private restrictive covenant limiting use of a property to single family residence prevented the erection of a 120-foot cellular tower. 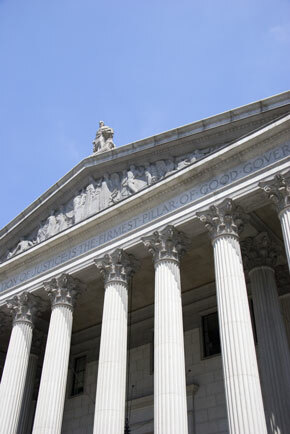 For a more detailed discussion about this case see "Chambers v. Old Stone Hill: Court of Appeals rejects public policy argument and declines to extinguish private contractual rights," which was co-authored by the firm's partners. Restrictive covenants can be an effective tool for preventing certain types of development. It is crucial, therefore, that developers research all restrictive covenants and understand their potential impact. At Silverberg Zalantis LLC, we have represented both landowners and developers in connection with restrictive covenant claims. We serve the following localities: Westchester County, Rockland County, Orange County, Putnam County, Dutchess County, Sullivan County, Greene County, Nassau County, and Suffolk County in New York; New York City; and Fairfield County in Connecticut.